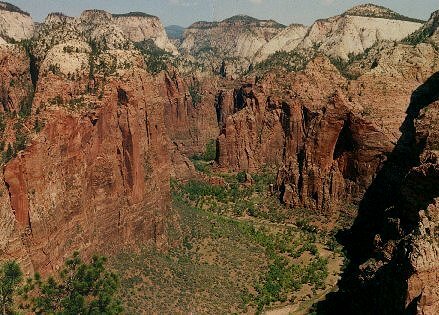 Zion National Park is a real spectacular park! 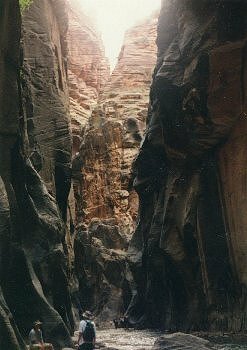 If you're looking for narrow and deep canyons you have come to the right place. 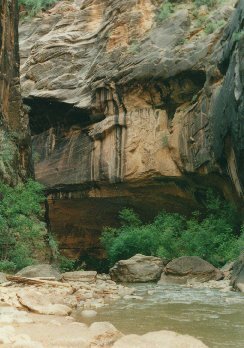 Among those canyons is a place called 'The Narrows', which is quite easily accesible by hiking. 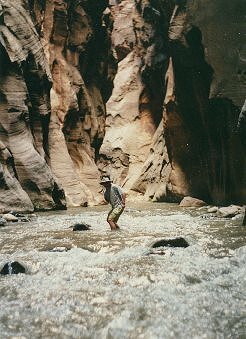 During my US trip, this was my most favourite hike and although it's gives you wet feet it offers fantastic scenery! 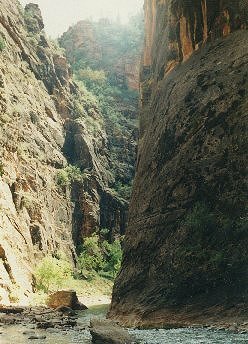 the canyon is as deep as 1800 feet in places. At the beginning you might be tempted to find a way withough wetting your shoes, but believe me: it's easier and faster to walk in the water! The scenery after two hours of hiking is really breathtaking and defenitely worth the trip. 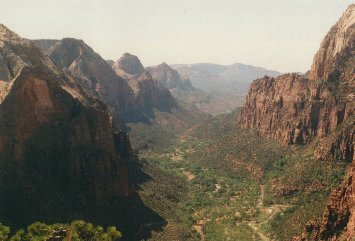 Another fantastic hike in Zion National Park is the trip to Angels Landing, a viewpoint, 1800 feet above the valley. The trail starts at the Grotto, where you have to cross the river via a footbridge. Then simply follow the signs to Angels Landing.